Senior St Helens councillors have this afternoon, Wednesday 30th May, given the nod for the borough to bid to become a host venue at the 2021 Rugby League World Cup. 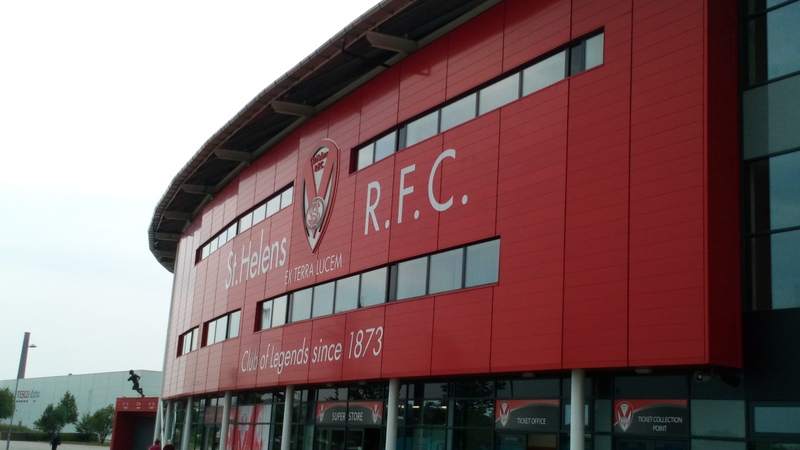 St Helens Council and St Helens RLFC – who currently sit top of the Super League table – have been approached by the Rugby Football League (RFL) with a view for Saints’ 18,000 capacity Totally Wicked Stadium to bid to host group games at the men’s tournament – and also the women’s tournament, too. At this afternoon’s, Wednesday 30th May, Cabinet meeting in the town hall, councillors gave the green light for the bid – which will form part of the borough’s 150th anniversary celebrations – to be publicly launched which, if successful, could have an economic benefit of between £2.4m-£4.5m. The hosting of the event in St Helens could also contribute to other strategic initiatives such as the St Helens town centre regeneration, raising the profile of St Helens, links to public health messages – and community engagement after 75 percent of local spectators felt that the World Cup enhanced community spirit when it was last in town in 2013. Showing his support, St Helens Council Leader Derek Long said: “Rugby League has a strong heritage in the borough and with Saints currently top of the league and in scintillating form, it’s our duty to prepare a bid as good as the rugby Ben Barba and co are producing right now. “St Helens Rugby League Club and the council invested to build one of the best stadiums in the country with the aim of attracting high profile events such as the Rugby league World Cup to our borough, so I think we’re in a very strong position to deliver this once again. Initial discussions with the tournament organisers have also resulted in the view that the borough should seek to host a team training base using Ruskin Drive Sports Village and Saints’ training base at Cowley Language College. In order to get the bid moving, councillors have agreed to contribute up to £30,000 per annum in 2019/20, 2020/21 and 2021/22 from the Transformation Reserve Fund to support the bid.